Protect your business and home with HunTel's security solutions. Today's businesses and homes are exposed to burglary, fire, and safety concerns every minute of the day. With HunTel, your most valuable possessions can be monitored with our state-of-the-art intrusion solutions, access control and video surveillance; 24 hours a day, 7 days a week, 365 days a year. Everyone wants to feel safe in their place of work or in their home. HunTel offers security solutions that are easy to use, reliable, and have flexible designs, assuring your alarm system works to protect your assets at all costs. You can feel secure knowing you and your business are protected against unauthorized entry. Whether you have a small office, an office building or retail locations, you have a lot invested in your business and your employees. HunTel Security does not try to sell you a cookie cutter, one size fits all monitoring system. Our trained security professionals will assess your situation individually and design a complete monitoring system that addresses your particular needs. Your family and your home are your most precious commodities. Protecting them is a full-time job. Because you never know when an emergency will arise, you need a partner you can depend on to provide professional security services 24 hours a day. You can rely on HunTel Security to provide the latest in intrusion and fire monitoring equipment at affordable prices. Features of our systems include arming and disarming your security system while you are away and receiving email and text alerts about the security of your home. By installing a HunTel Monitored Home Security System, you may even save on your homeowners insurance. A Video Surveillance system can make your business more secure, more efficient, and reduce your exposure to theft and accidents. HunTel specializes in custom designed and fully integrated video surveillance security camera systems for business and residential needs. This includes professional installation, and ongoing support and service. Remote viewing capability is a standard function for all of our digital video surveillance systems and security cameras. You will be able to view any security camera remotely via the internet from a laptop, PC, tablet or smartphone. HunTel offers businesses a single source solution. We provide on site needs analysis, system design, turn-key installation, local on-site service, preventative maintenance and support. We can assist you in developing a comprehensive migration plan from your existing analog video surveillance system to keep pace with the new IP technologies on the market while maintaining your budget, improving system performance, efficiencies and overall satisfaction. Access control is a necessity in today’s business world. All businesses, whether small, medium or large, have assets that require protection from theft, as well as protecting staff, company information and operations. Electronic access control systems and key card locks provide the most efficient and convenient way of securing your building and assets. By installing a card access control system you will never have to re-key a lock again. Tokens such as access cards, key fobs, smartphone Bluetooth access, or biometric characteristics can be utilized to allow access through the controlled doors. These tokens are easily removed from the card access control system should they be lost, stolen, or not returned by someone who leaves your company. 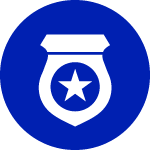 Barred tokens will not allow access through the controlled doors. An electronic access control system restricts and tracks access to a property, building, or room to authorized persons. A quality access control system is the first step in protecting your assets, property, and people. Whether you need to control access to a single door, a complex multi-site, or a fully integrated facility, we provide it all.